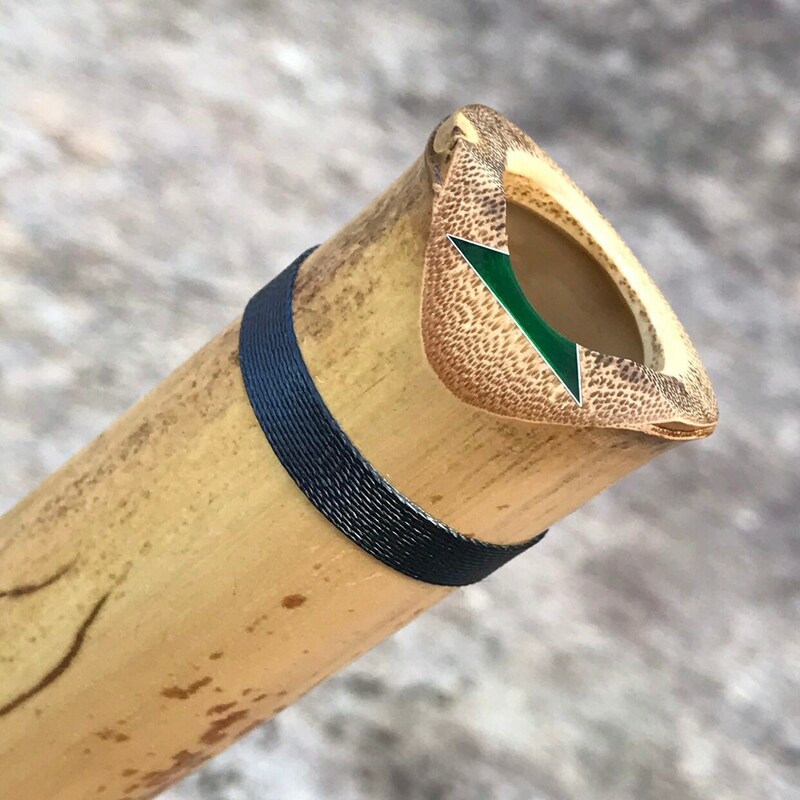 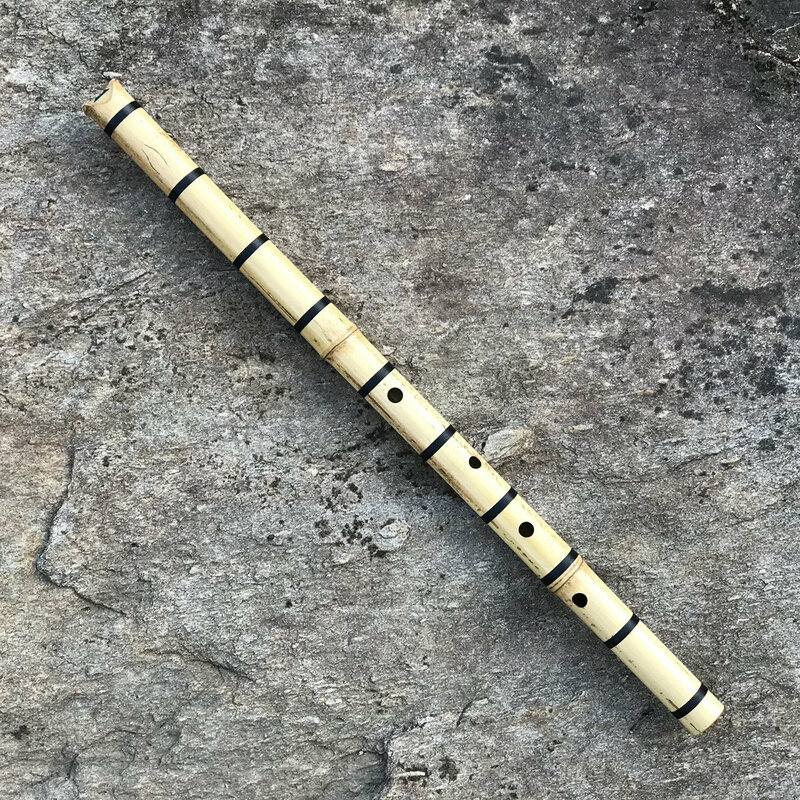 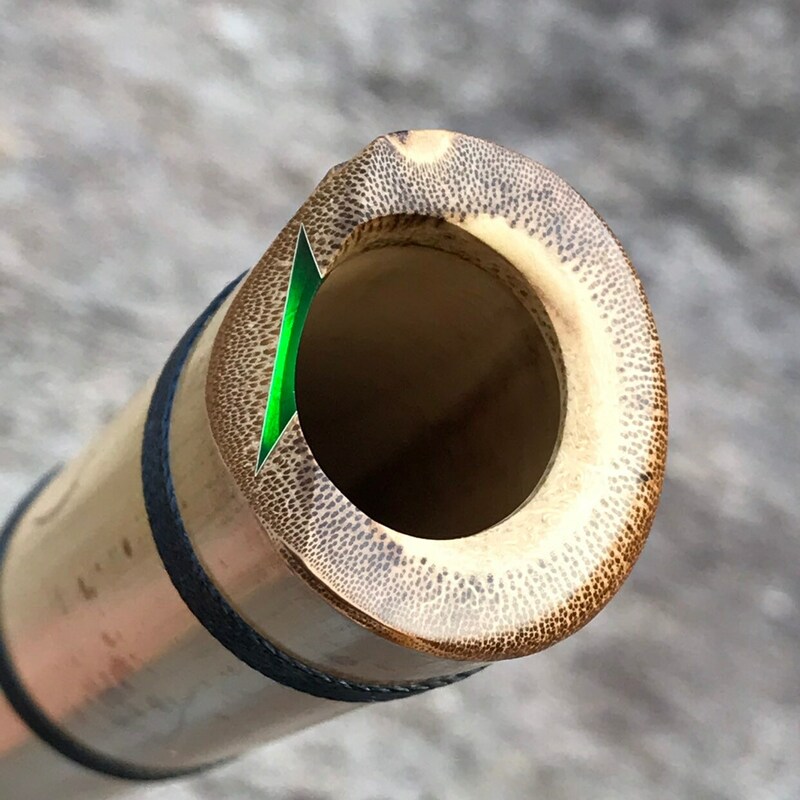 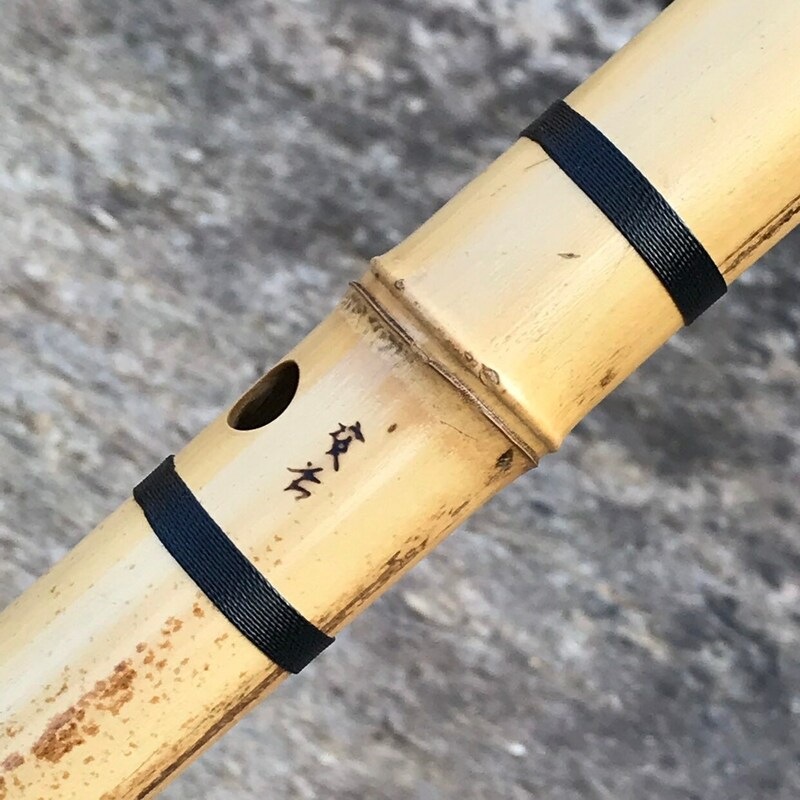 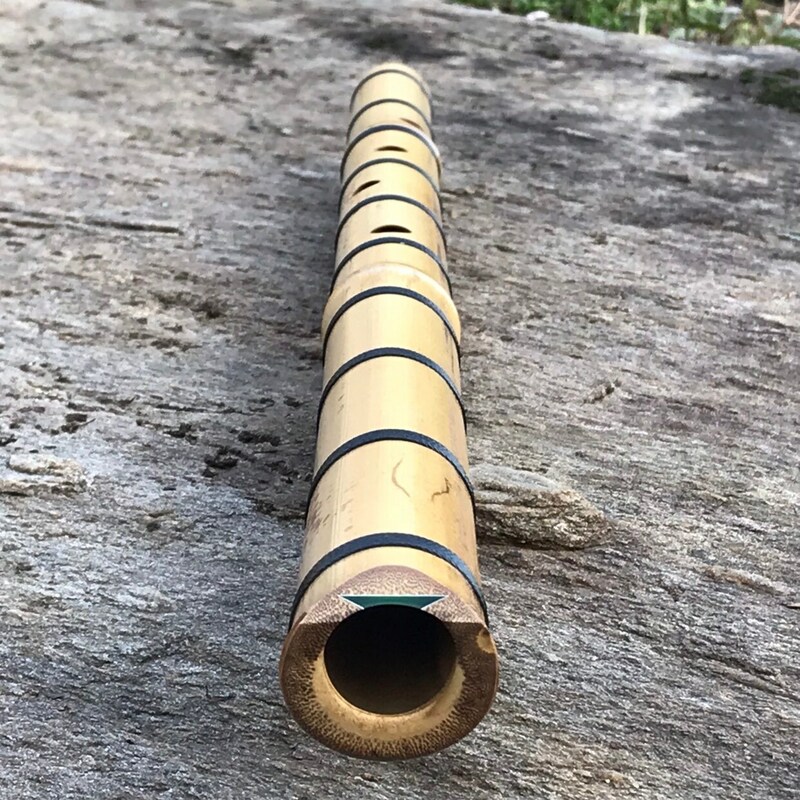 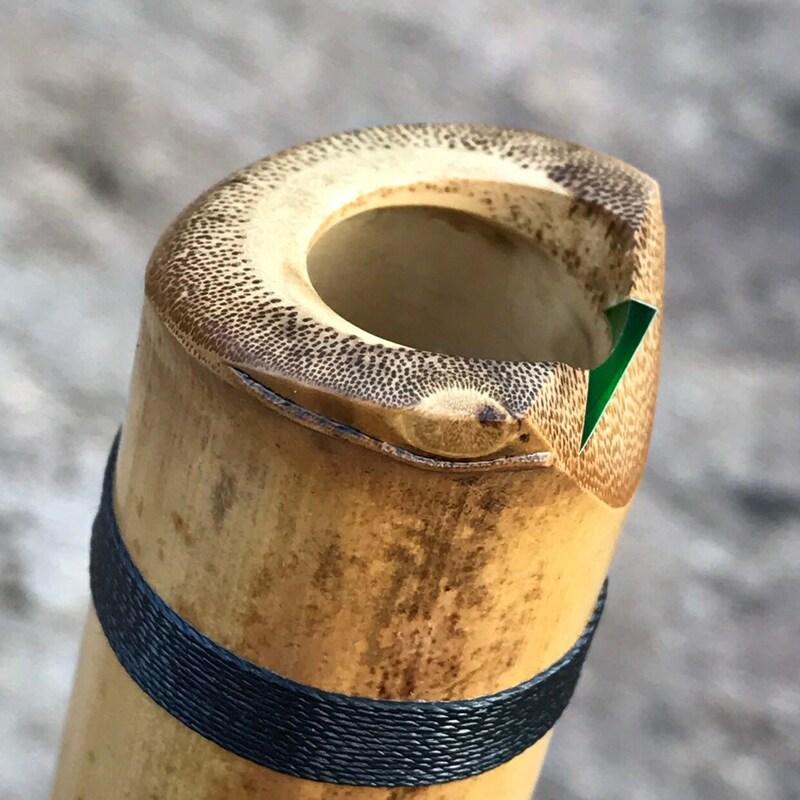 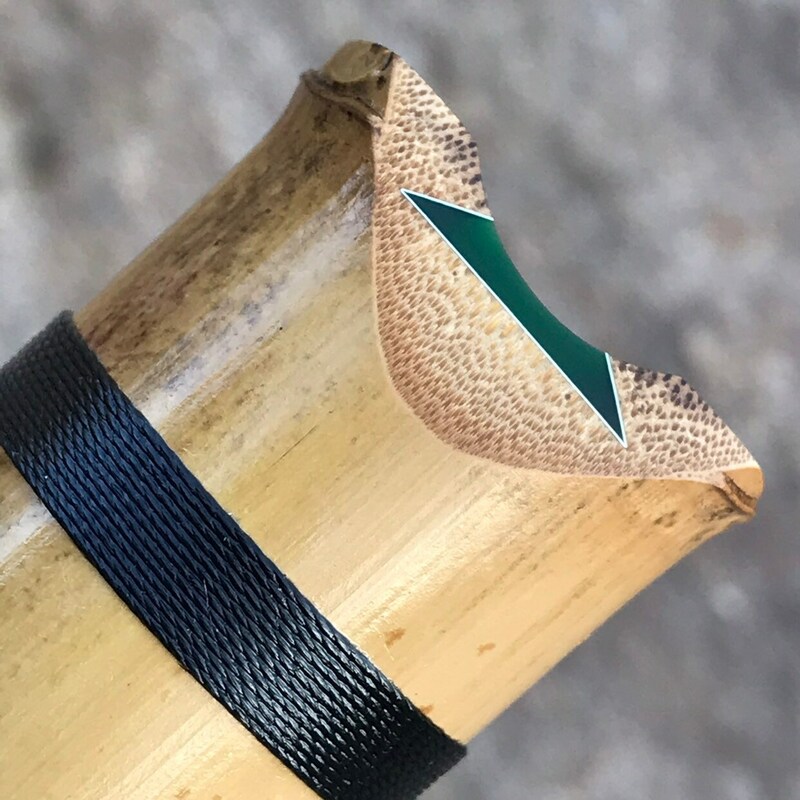 This 2.1 B meditation model shakuhachi flute features a translucent green acrylic kinko style utaguchi (mouthpiece) inlay with sterling silver outline and black bindings. 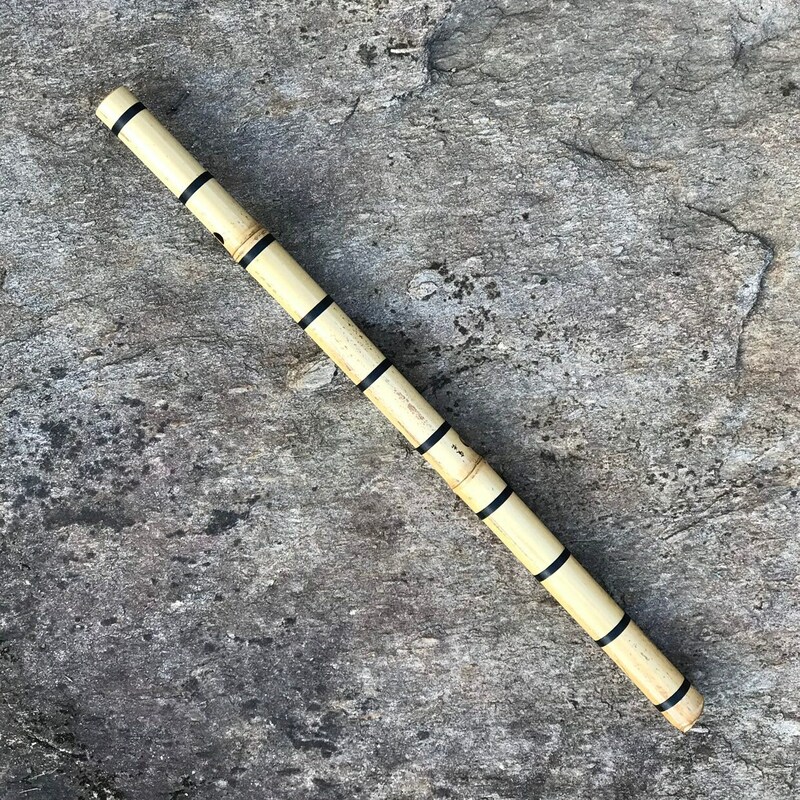 Measures 25.5 inches long. 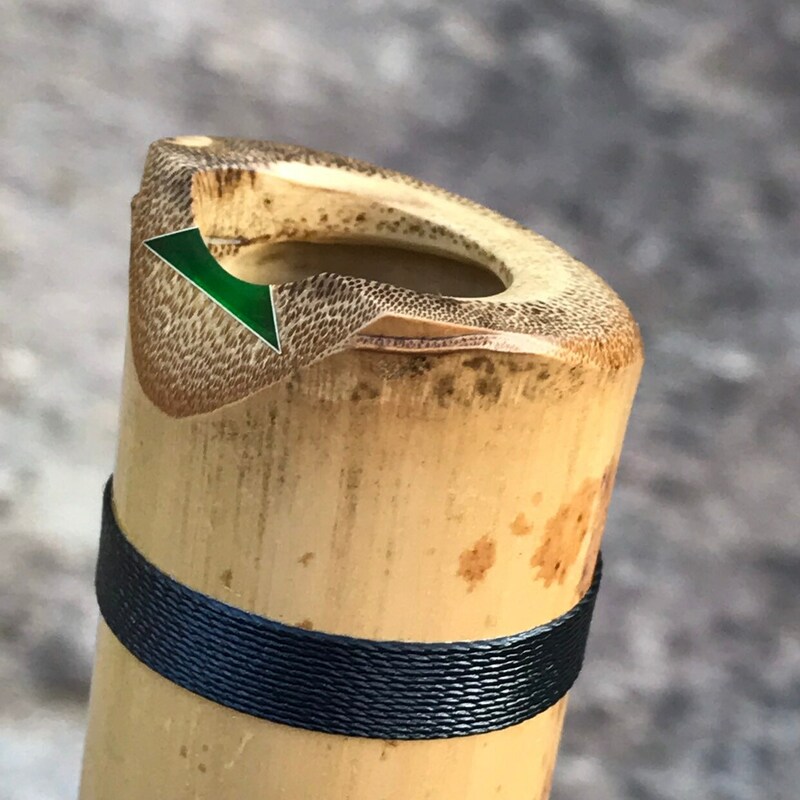 Naturally occurring lightly modeled coloring. 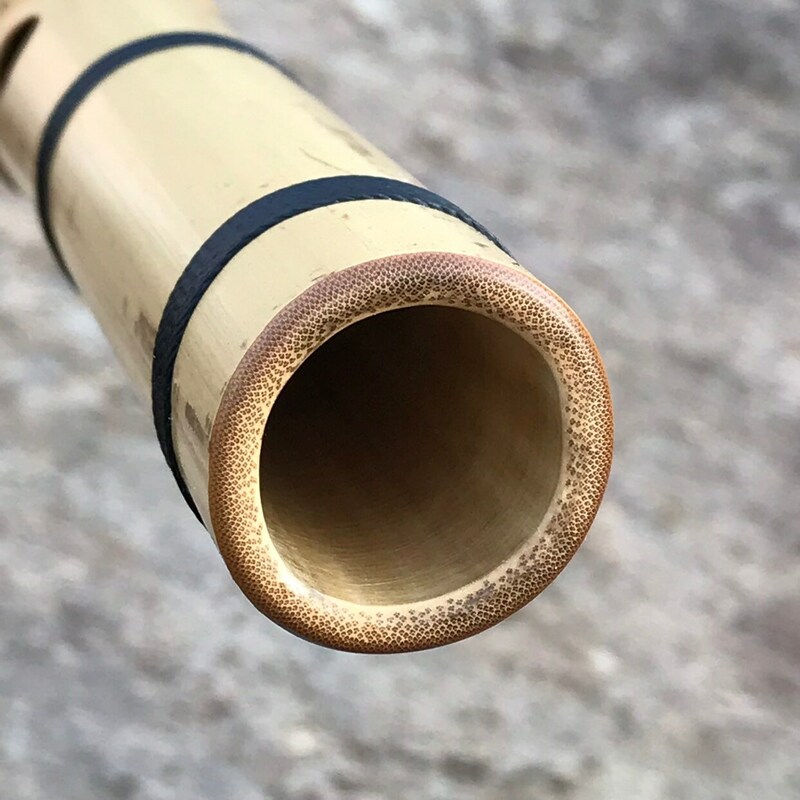 Beautiful deep sound.